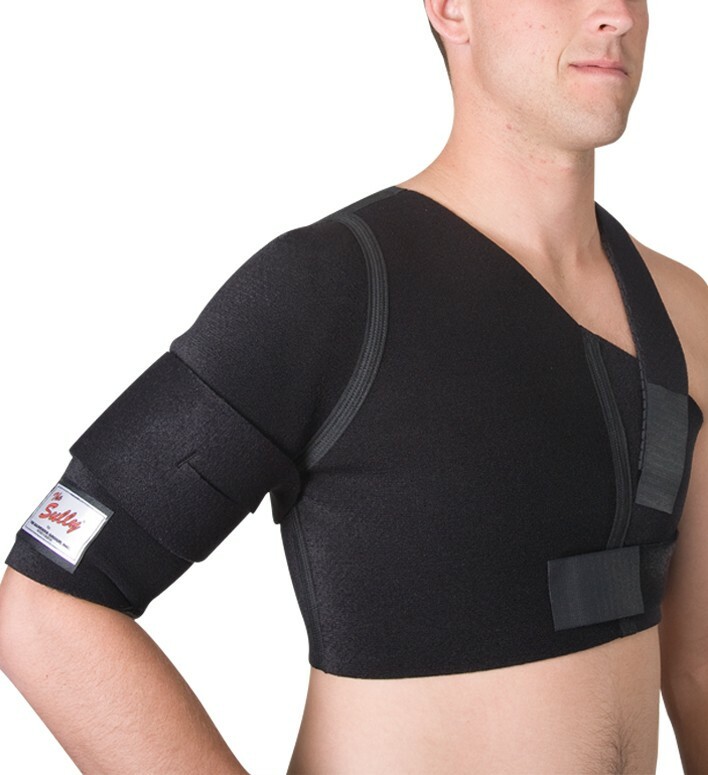 The DonJoy Sully Shoulder Brace is a breathable shoulder brace, providing shoulder stabilization to post-injured shoulders. 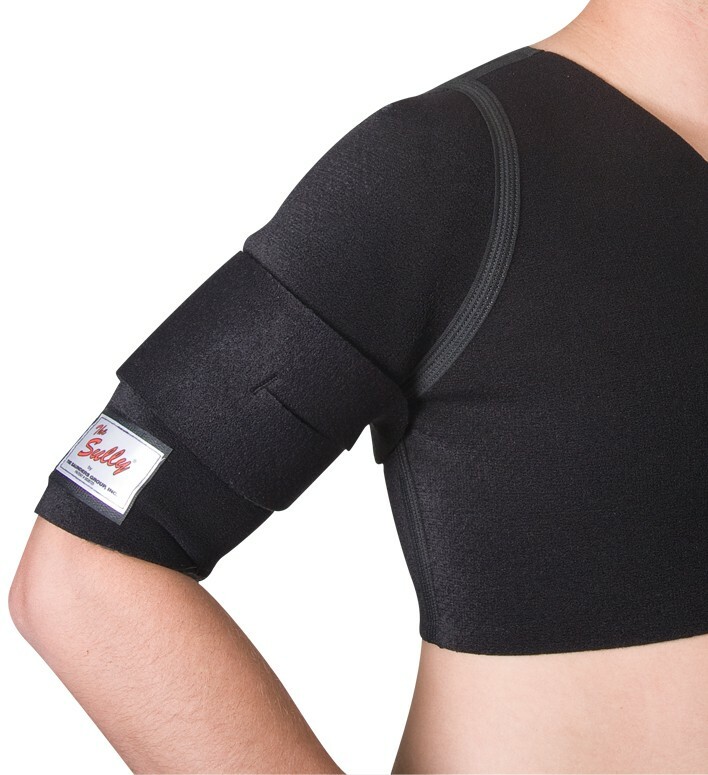 With a hook-sensitive neoprene vest, the Sully Shoulder Brace grips the skin to allow precise placement of the donut-shaped foam pad. 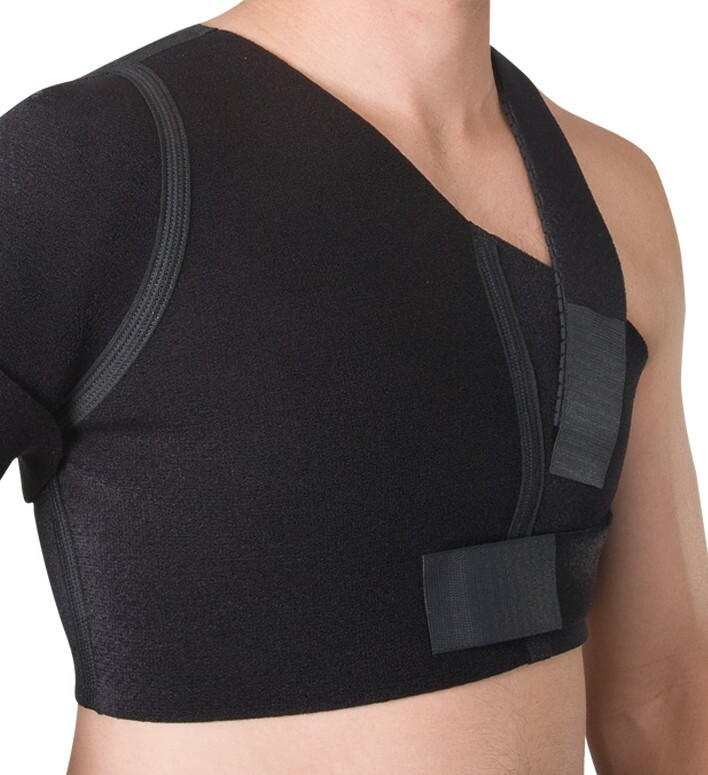 The hard-shelled foam pad helps protect the AC joint from further injury. 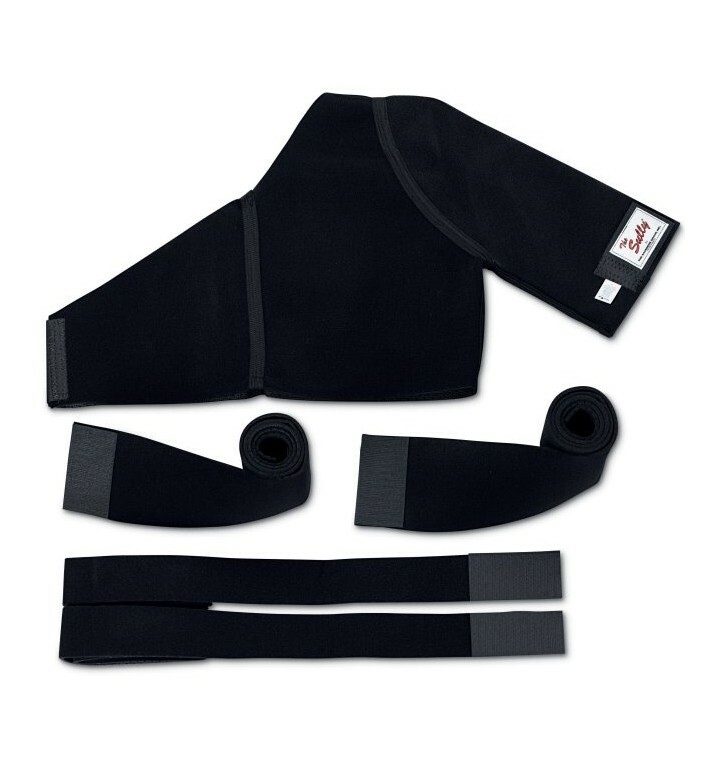 On the inside, the perforated, rubber-like neoprene grips the skin to support your shoulder during activity. XS 34" - 40" 9" - 10.5"